Your hair is your perfect, unique accessory and is a strong reflection of your personality. 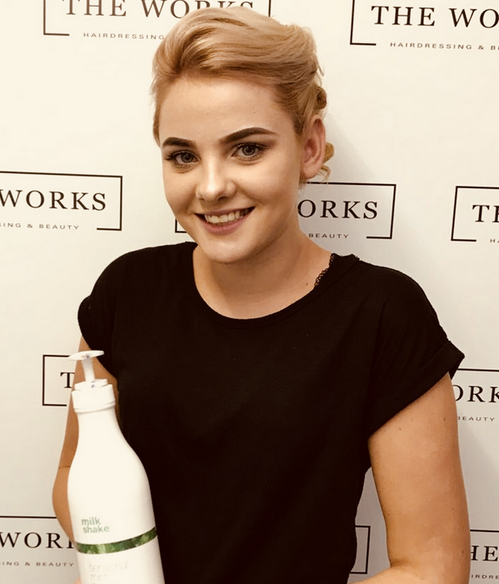 Here at The Works Hairdressing & Beauty in the heart of Marple, we believe you should never compromise when it comes to your look and how it makes you feel. We have a carefully hand-picked team which is passionate about customer service and care. Each professional brings something different and individual to the company. We offer the very latest massage treatments, fashion-forward hair colouring products and popular nail trends. 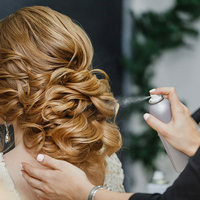 If you are looking for a hair and beauty salon with a difference, then come and experience us for yourself and see exactly what we can do for you. We listen carefully, working with you to ensure you’re thrilled with your look and you leave feeling fabulous. Put your trust in our team for effortless and elegant nails, hair styling that flatters and a truly pampering and therapeutic treat. With only a ten minute journey from Glossop and Hazel Grove, we look forward to seeing you and helping you create your new look! 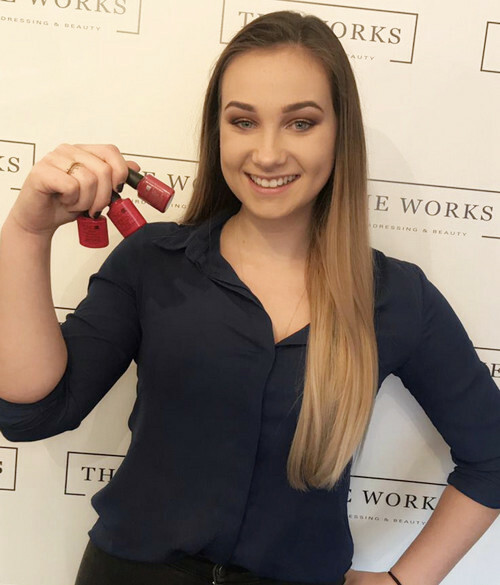 Aimee started The Works in June of 2016 with one simple aim; to provide top class service, combined with high end salon results at a price that everybody can enjoy. From what the vast majority of our customers say, she cracked it! The team at our hair and beauty salon in Marple have over 50 years of hairdressing experience between them. 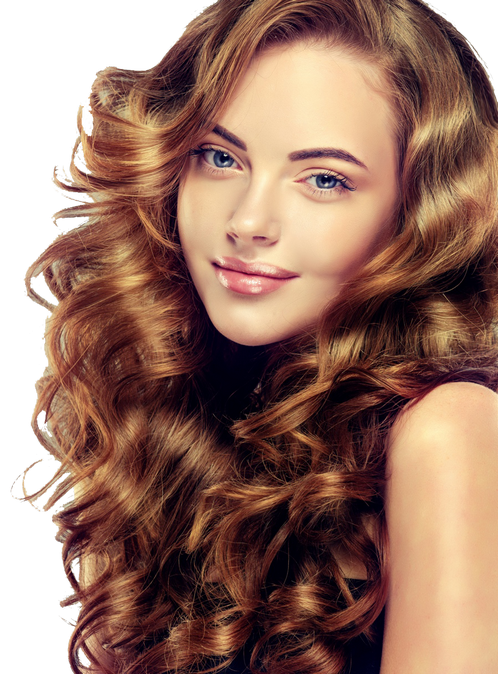 They are skilled & fully trained in all aspects of hair styling & beauty treatment. Whether you call in for a simple cut & blow or require a full set of extensions and hair styling, you’re in safe hands. 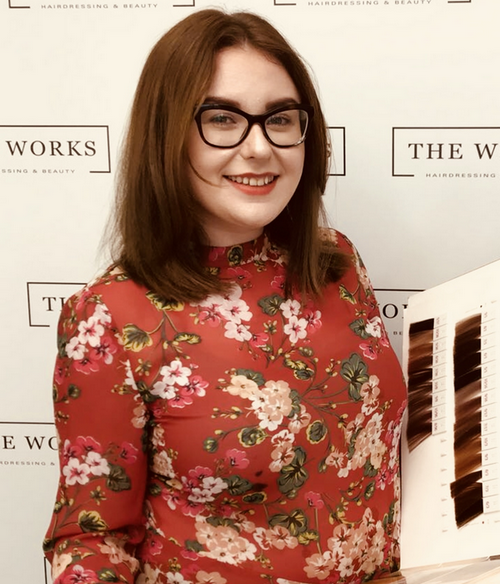 We offer anything from hair colouring ideas & hair colouring advice, through to the best hair styling products & options for home hair colouring. If you feel like you need long hair to pull off different designs, we can help you with short hair styling to prove this isn’t the case. As well as suggestions for all of our customers, we have hair styling for men along with hair waxing at our hairdressing salon, just inside of Stockport. We thoroughly believe if you’re passionate about what you do, you’ll see results. This is the mantra we use in all our work. We look forward to seeing you! We offer a fully equipped and professionally staffed beauty salon, consisting of two calming and very private rooms. Our main beauty treatment room is twice the size of most, meaning you can enjoy your beauty treatments in a space that is welcoming and relaxing. We offer a range of massage treatments, such as an aromatherapy massage and Swedish massage, using therapeutic massage oils. We can help you with how to shape your eyebrows and we specialise in HB. Why not accompany your new eyebrows with LVL lashes? Our beauty salon is also set up for waxing. We can carry out bikini waxing and leg waxing as well as male waxing. Our friendly hair and beauty salon Marple, near Romiley, is equipped and ready to help you unwind and achieve the look you really want. Beauty treatment doesn’t just have to mean a massage or eyebrow waxing. Our highly skilled nail technician is on hand to make you look and feel fabulous. If you’re seasoned in the art of nails or have just decided you fancy a change, then our expert designer in our nail salon has just the style for you. Shellac nails are a firm favourite at the minute and something we are proud to offer at The Works Hairdressing & Beauty, New Mills. Using a shellac nail kit and shellac nail polish, these fantastic nails are one of a kind. Shellac toenails are also a popular choice! Or if you prefer the more classic French nails, we can do this for you, too. Alternatively, we could provide you with a full set of bio gel nails if this is more your style. The choice is endless! Why not finish off your pampering session with a manicure or pedicure? Go on, treat yourself. You deserve it! 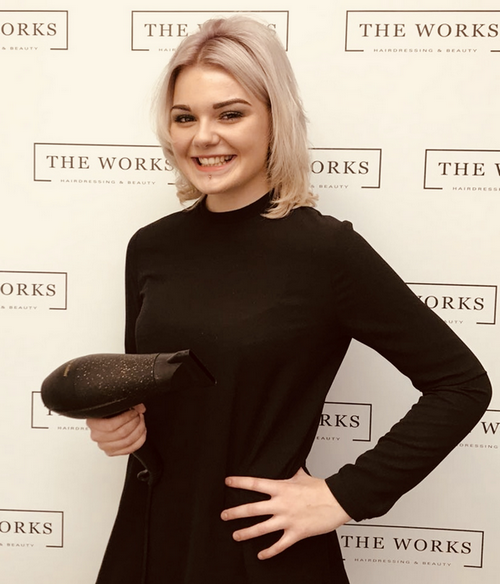 Alice is a Junior Stylist at our hair salon and has a wealth of experience. 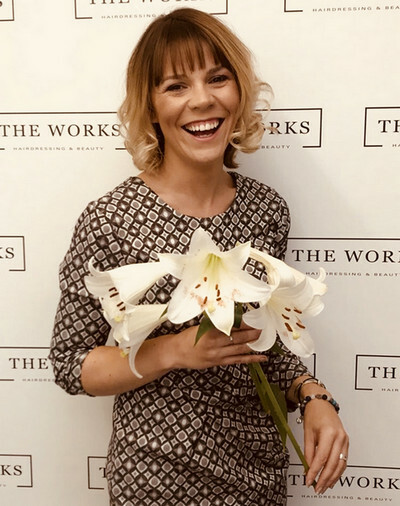 As a senior stylist, Chloe is our most experienced hair professional. Tilly is our part time Saturday girl. 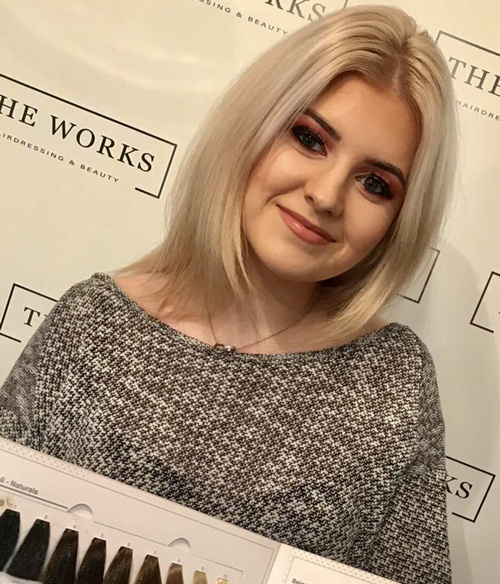 Izzy is our senior beautician at the salon. A wealth of experience and very talented. Where is The Works Hairdressing & Beauty? Copyright © 2018 The Works. All Rights Reserved.